From the beautiful spring blooms to the mild and comfortable temperature, spring in Sydney from September to November is one of the best times to visit this diverse city, bustling with life and blessed by Mother Nature. Gather the whole family and explore the beauty of Sydney’s beaches and lush gardens, immerse in nature on a glamping adventure and witness the annual whale migration from prime vantage points along the New South Wales coastline. Celebrate the season with floral festivals including the Grafton Jacaranda Festival or spring into action (pun intended) at the Blackmores Sydney Running Festival on a 3.5km fun run across the Sydney Harbour Bridge. Revel in tantalising food and wine in the Hunter Valley, take delight in native wildlife, be in awe of breathtaking views in the UNESCO World Heritage-listed Blue Mountains and relish in Sydney’s rich cultural diversity and heritage. There’s something for everyone at every turn – don’t miss the opportunity to create picture-perfect, everlasting memories with your loved ones in Australia’s most beautiful city. Discover the best of Sydney in Spring with Singapore Airlines. With five daily flights, you can experience delectable meals and world-class entertainment on the world’s most awarded airline. View the latest flight fares here. 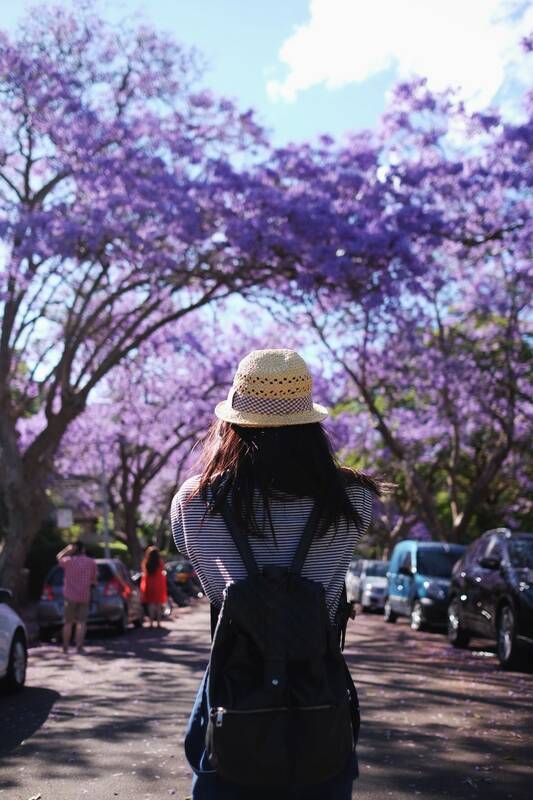 Laugh and bathe underneath the purple rain of Jacarandas, a purple-blue bloom native to the tropical and subtropical regions of South America but now populate the streets of Sydney in spring. Now as synonymous with Sydney’s spring as cherry blossoms are to Japan, many tourists flock to the city and Grafton in regional New South Wales just to capture these beautiful blooms for themselves. For that iconic Instagram shot, head to McDougall St in Kirribilli where the trees lining the road form a jacaranda “tunnel”, mimicking an ethereal canopy in beautiful lilac hues. Just be sure to watch the traffic while you’re at it! However, if you’re not one for crowds, there are plenty of other spots in Sydney where you can enjoy the jacaranda blooms. Head into the city area around Circular Quay and The Rocks for stunning views of the purple blooms against the backdrop of the Sydney Harbour and the Sydney Opera House. 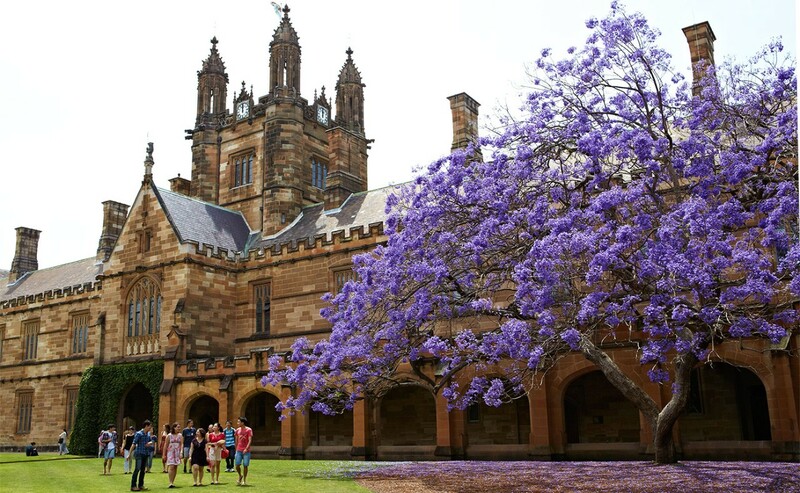 For both history and beauty, head to the University of Sydney where an 88-year-old jacaranda tree once stood – though now replaced by a replica – and with over 40 other trees planted across campus. Seek refuge in the suburbs of Paddington or Lavender Bay on the North Shore and set up a picnic with the family to enjoy a lazy afternoon under the trees. For an alternative view of the jacarandas, you can try to get to higher ground – try the top of the Westfield Bondi Junction shopping centre towards Edgecliff Road – for free views of Sydney washed in a literal sea of purple. And we’ve saved the best for last! 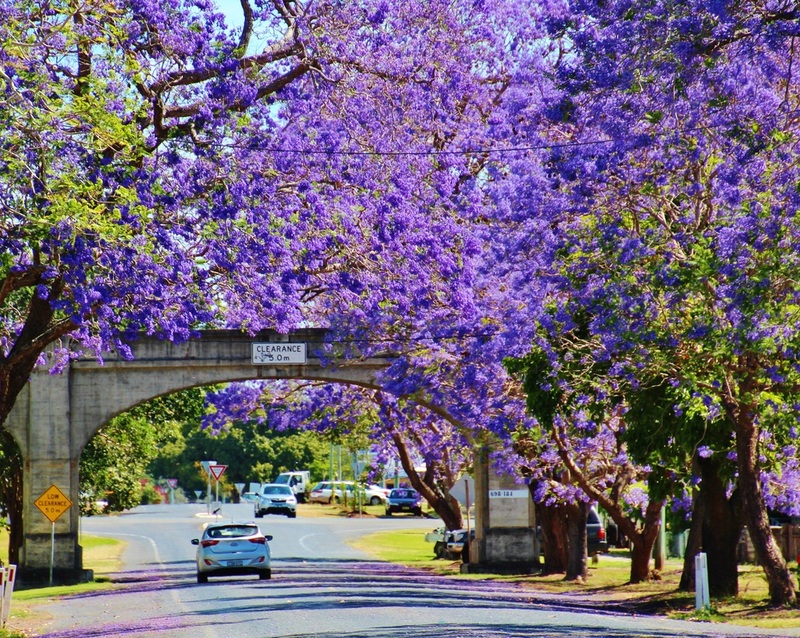 For the ultimate jacaranda experience, head out of Sydney to Grafton city where the annual Grafton Jacaranda Festival (27 Oct 2018 to 4 Nov 2018) is held. See the city in a blaze of purple and join in on one of the oldest family floral events in Australia. While you snap pictures of the beautiful jacarandas, the rest of the family can participate in the festival activities and marvel at the float parade and fireworks display! Tulips are often associated with the symbol of Holland, but you can actually experience these large, showy blooms a lot closer to Singapore. No less magnificent than the tulips in Amsterdam, Sydney offers a more organic and intimate way of enjoying the blooms, in some of the most enchanting gardens around the city. 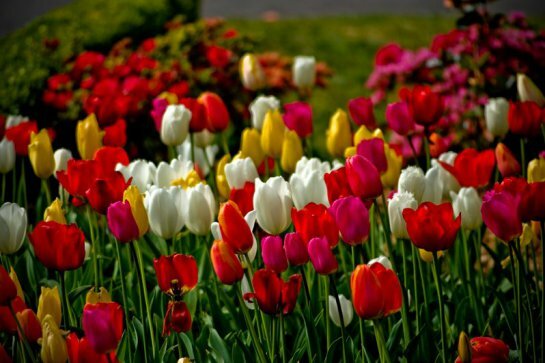 The annual Tulip Time Festival (18 Sep 2018 to 1 Oct 2018) in Bowral is one of Australia’s oldest and best-loved floral displays. 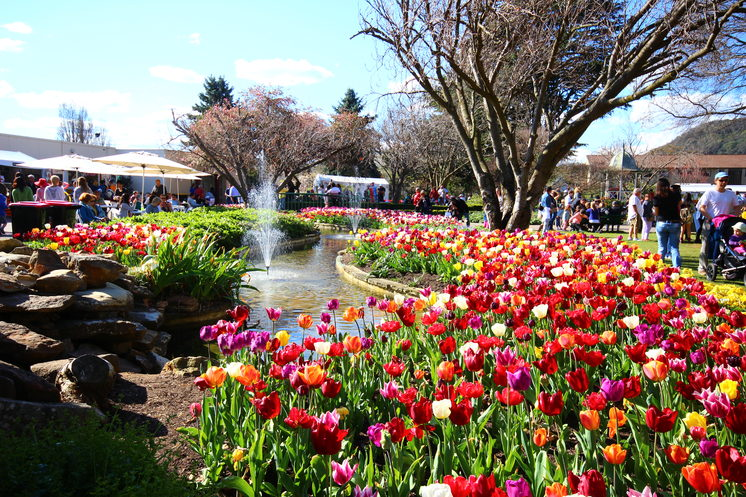 About an hour and a half drive from Sydney, it’ll be one for the memory books with over 75,000 tulips on display in Corbett Gardens and another 15,000 blooms across the Shire in Bowral. Get into the thick of spring and explore the unique and creative market stalls, street parades and entertainment that form part of the festivities. 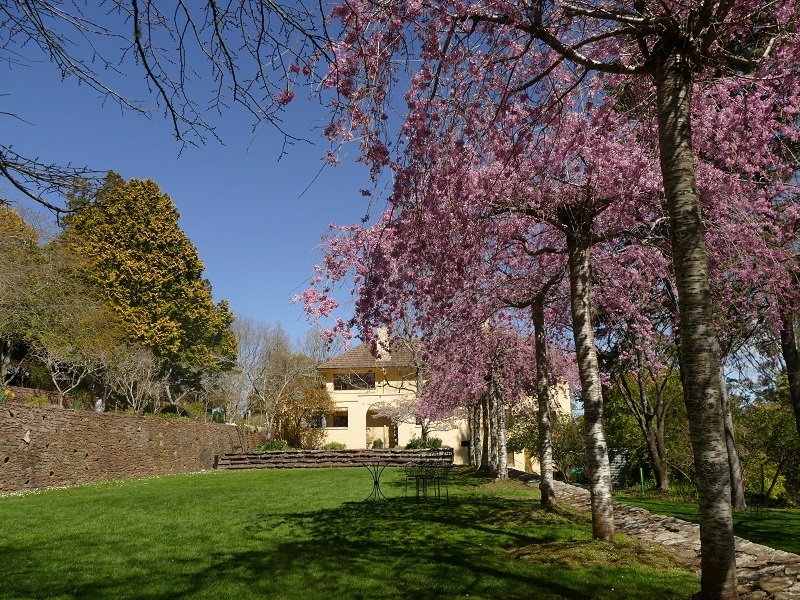 The town of Bowral is also a lively hub of activity, with restaurants, cafés and quaint vintage stores that you can explore after admiring the blooms, or extend your stay overnight in a luxurious cottage at Bendooley Estate. Blue Mountains is a beautiful spectacle all year round but there is no better time to visit the mountains than in spring when the flowers are in full bloom. An hour and a half drive from Sydney, enjoy the spring blooms in the many English-style gardens, historic houses and private gardens in the Blue Mountains area. 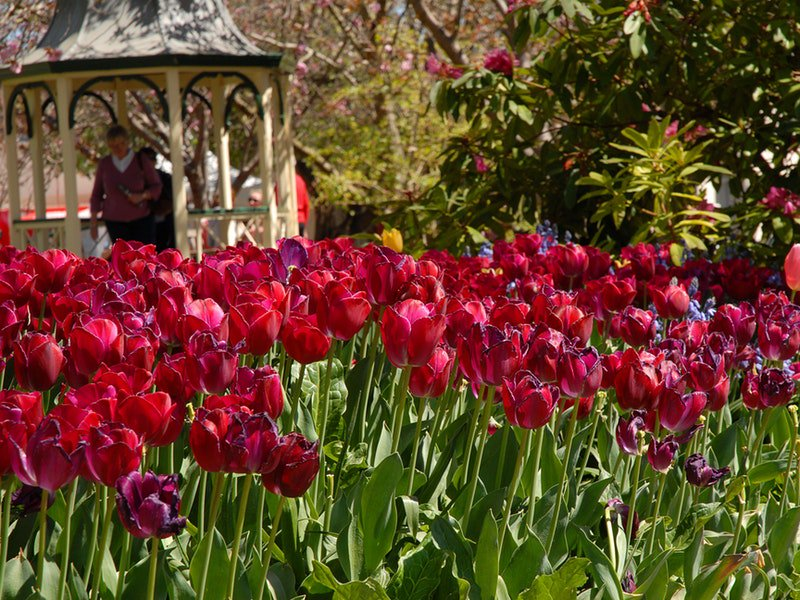 The Leura Gardens Festival – held over two weekends from 29 Sep 2018 to 1 Oct 2018 and 5 Oct 2018 to 7 Oct 2018 – is the perfect event to catch more of the beautiful tulip blooms. With ten beautiful gardens on display this year, capture the beauty of not just tulips, but also azaleas, rhododendrons, dogwoods and camellias. The Leura Gardens Festival is also your opportunity to explore otherwise inaccessible, privately-owned gardens and to do your part for the Blue Mountains District Memorial Hospital and other local health organisations, a tradition since 1965. A true testament to turning beauty into something even more beautiful! 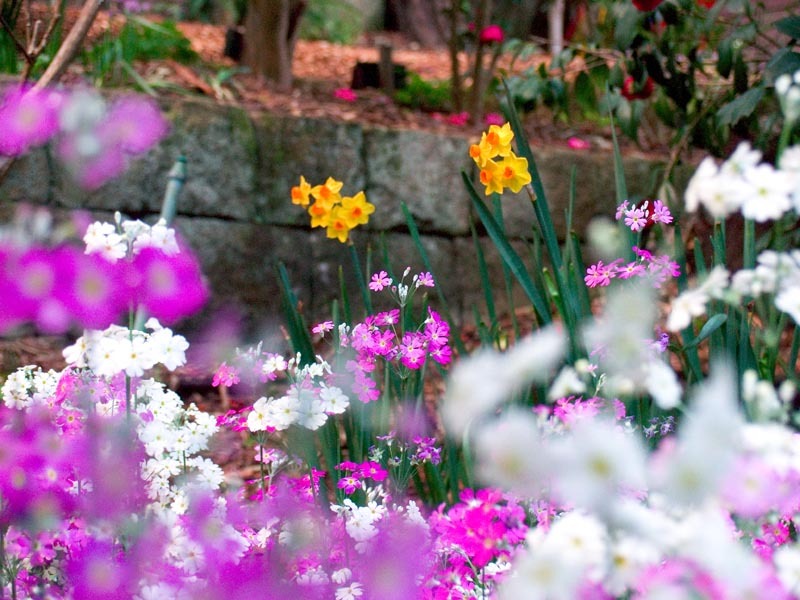 Other than the Leura Gardens Festival, it’s worth paying the Everglades House in Leura a visit for beautiful rhododendrons and azaleas and Mount Tomah Botanic Garden for beautiful daffodils and free guided tours. Spring is also the perfect time to head to Scenic World to enjoy the spring foliage from awe-inspiring perspectives. Ride the Scenic Railway, the steepest passenger railway in the world, and enjoy the 360 views through the glass-roofed carriages. 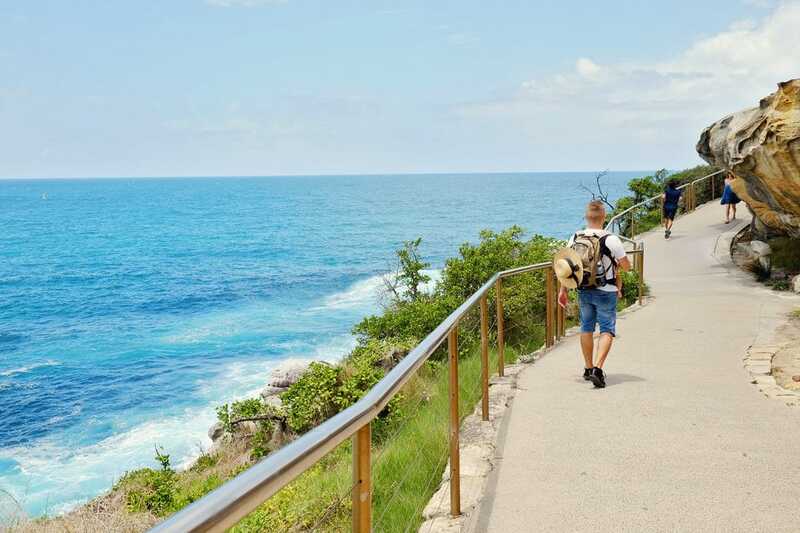 Stroll down the Scenic Walkway, the longest boardwalk in Australia, to discover unique spring flora and fauna and explore the Jurassic rainforest. Take the Scenic Cableway, which descends 545 metres into Jamison Valley, and providing a unique vantage point for spotting the spring flora and fauna. 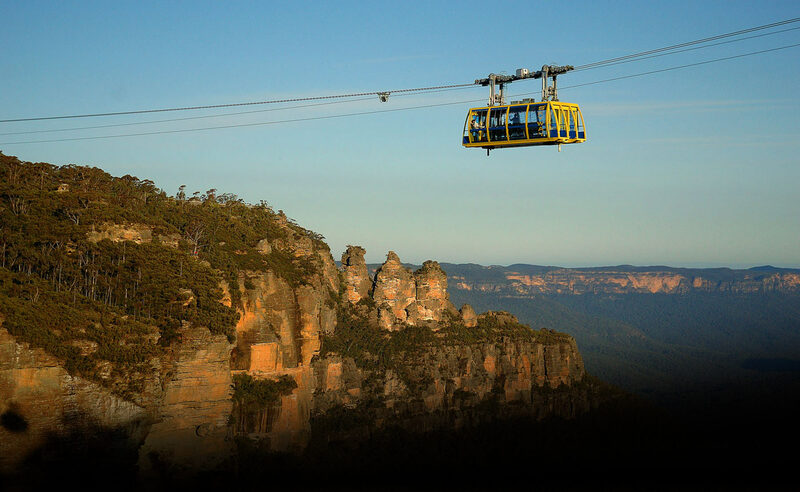 And lastly, thrill the kids on the Scenic Skyway, the highest cable car in Australia with electro-glass cabin floors to enjoy incredible spring views of Blue Mountains below. The mild spring temperature is also great for bushwalks that’ll take you through the area’s history, incredible flora and fauna and majestic scenic lookout points like Echo Point Lookout. Enjoy all that Sydney and its beautiful surrounds has to offer with Singapore Airlines. With five daily flights, you might also be accorded the opportunity to experience the new A380. The new Economy Class accords you with Singapore Airlines’ award-winning service as you recline in the ergonomically designed backrests. Have your child’s needs catered to with child-friendly meals and world-class entertainment through the duration of the flight. Enjoy a little extra space for a whole new premium experience on the Premium Economy Class. Make use of the generous stowage to keep your gadgets or recline and enjoy the new KrisWorld entertainment system on your 13.3” HD touchscreen monitor. Or find the perfect balance between work and life with the new Business Class. Rest and relax in any of the forward-facing Business Class seats with contoured cushions and fine leather upholstery by Poltrona Frau or turn on the reading light with adjustable brightness and get some work done. And for utmost luxury, new Suites promises comfort away from home with a separate swivel seat, upholstered in full-grain leather from Poltrona Frau, and a full-flat bed with adjustable recline. Selected adjoining Suites can be converted into a space for two – perfect for those travelling in a pair. 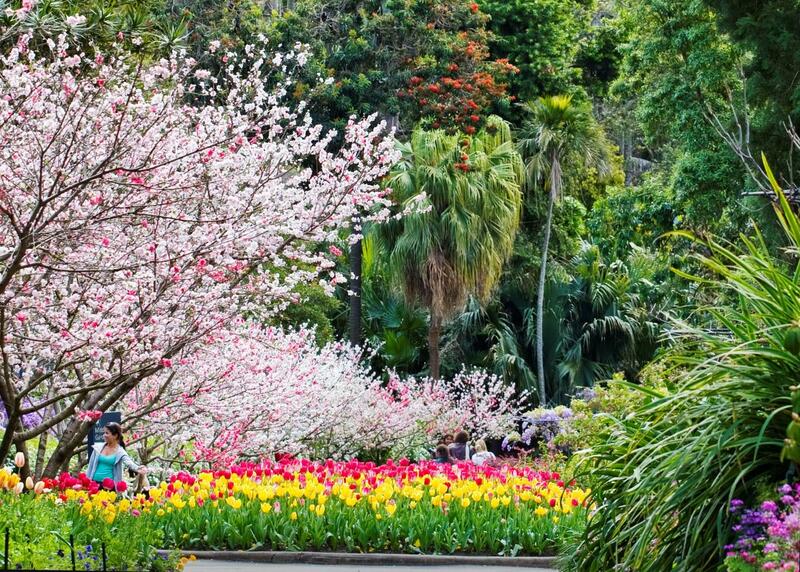 Other than tulips and jacarandas, Sydney is home to many other flowers and spring is the best time to take a stroll through the hundreds of beautiful gardens as they burst into life. 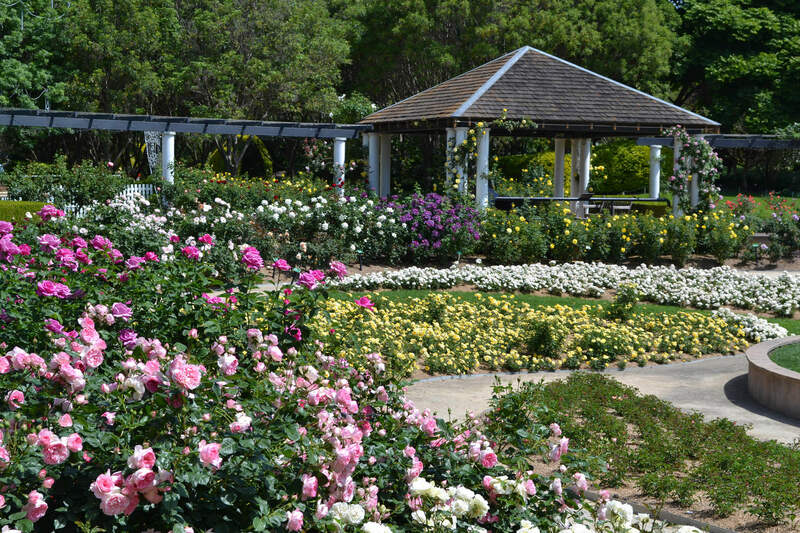 Embark on the Spring Walk at Sydney’s Royal Botanic Garden to see cherry blossoms, tulips, ranunculus and beautiful roses at the Palace Rose Garden. If you have the time, Hyde Park, the Chinese Garden of Friendship in Darling Harbour, Nutcote in Neutral Bay (a short ferry ride from Circular Quay), Vaucluse House (for the wisterias) and the Australian Botanic Gardens at Mount Annan are also worth the visit to experience more of Sydney’s blooms. Centennial Park is another park for spotting tulips in spring and it is also one of Sydney’s most cycle-friendly public spaces with cycleways for you and the kids to discover more on two wheels! Smaller, but nonetheless beautiful, hidden gardens like Wendy’s Secret Garden and Lisgar Gardens also offer a quiet respite from the hubbub of the city to enjoy the spring blooms with your loved ones. 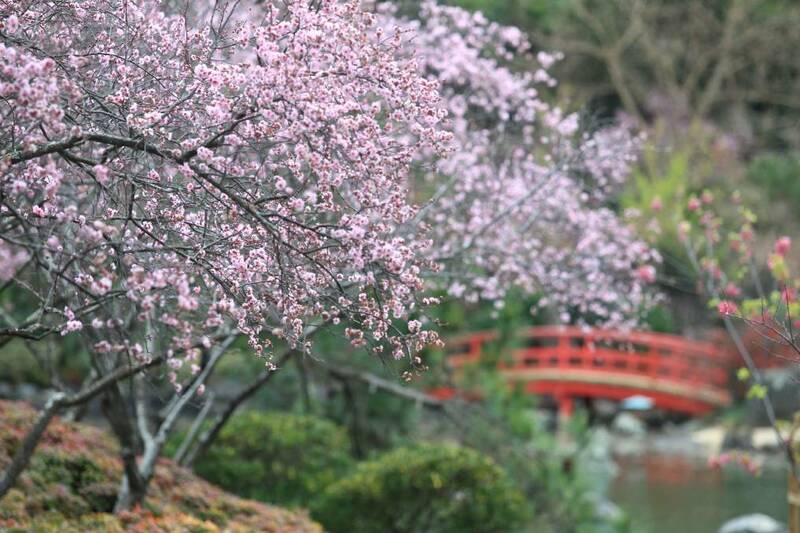 For a pink sakura experience outside of Japan, be sure to check out Auburn Botanic Garden’s annual Sydney Cherry Blossom Festival (17 Aug 2018 to 26 Aug 2018) – celebrating the beautiful Japanese blooms as well as Japanese culture. 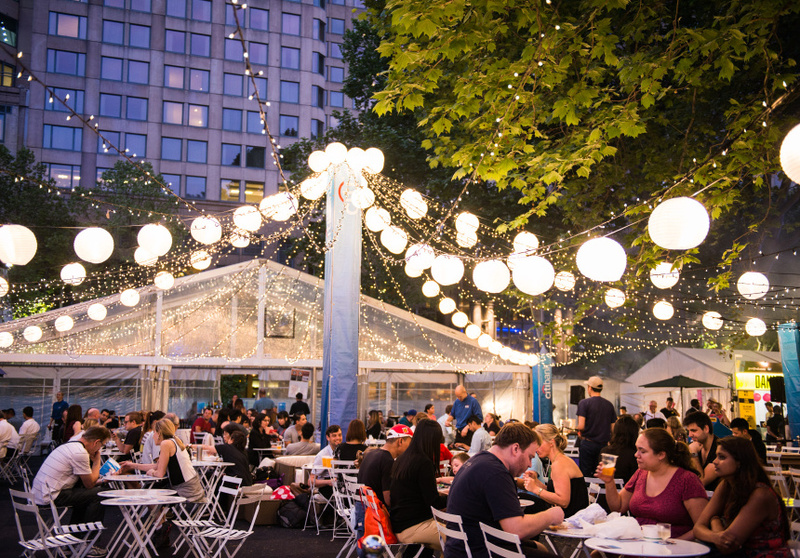 Enjoy food from award-winning food trucks and restaurants as you hanami under the cherry blossoms, right in the heart of Sydney! The mild temperature of spring makes it the perfect time to explore Sydney on foot and enjoy the beautiful coastal views and spring blooms. 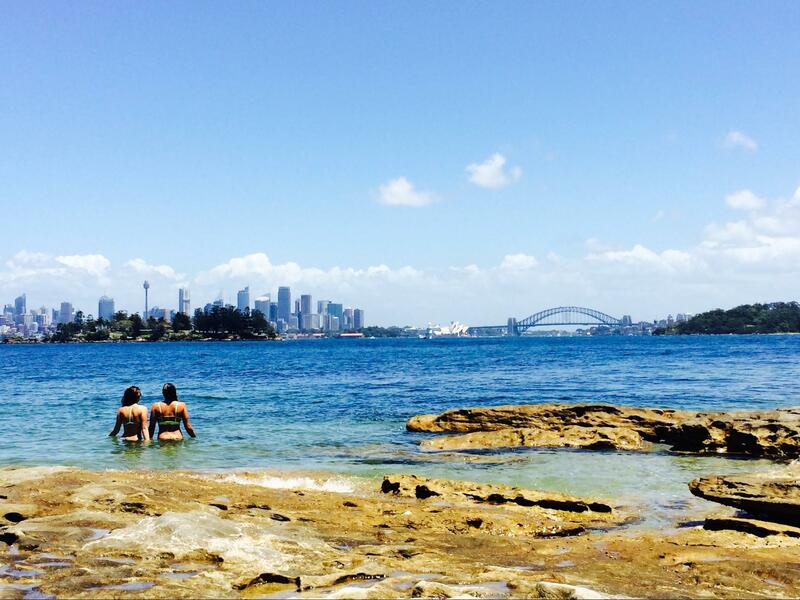 You might even accidentally stumble on one of the many hidden beaches in Sydney, where you can rest and spend a lazy and quiet afternoon with the family before hitting the pavement. Just make sure to keep an eye on the kids as most of these beaches are unpatrolled! One of the most popular coastal walks to take near the city is the Bondi to Coogee coastal walk. A two to three-hour walk, approximately 6.5km long, the walk will take you through Bronte Beach and Aboriginal engraving sites, and offer you breathtaking views of the ocean and the towering sandstone cliffs. 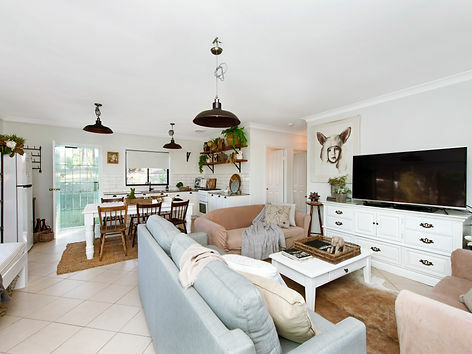 It will also take you to Gordons Bay, a secluded oasis just north of Coogee Beach. There are plenty of pit stops along the way and the ease of the route makes it perfect for those with young children in tow! Though slightly longer, the Spit Bridge to Manly Walk is another walk popular amongst both tourists and locals alike. A 10-km route, taking approximately 4 hours, enjoy beautiful harbour views as you walk through Sydney Harbour National Park. The trail will take you through Fisher Bay, Reef Beach and Forty Baskets Beach, the last of which you might even spot a whale during the spring! Take on the Hermitage Foreshore walk (approximately 1.8km one way and 30 minutes long), where you can discover hidden beaches, including Hermit Bay and Milk Beach. Almost completely devoid of tourists, these beaches will transport you out of Sydney and on to a tropical island paradise! The route will also take you to Nielsen Park, which features a family-friendly beach, picnic facilities and a café. Those looking for an epic hiking adventure can try the Royal Coastal Walk, a 26-km walk along the Coast Track in Sydney’s Royal National Park. The trek will take approximately two days so you will have the opportunity to camp at the North Era campground overlooking the North Era Beach in the Royal National Park. Though the track can be tackled in sections, completing the route will take you through some of the most beautiful sights in Sydney. Stumble on the isolated Wattamolla Beach for a swim, or head to Garie Beach for some whale-watching! Discover the best of Sydney in Spring with Singapore Airlines. With five daily flights, you can experience delectable meals and world-class entertainment on the world’s most awarded airline. Another reason to embark on a scenic coastal walk when in Sydney is the annual Sculpture by the Sea festival. Set along the Bondi Beach to Tamarama Beach coastal walk, you can experience the world’s largest public free sculpture exhibition. For three weeks in spring from 18 Oct 2018 to 4 Nov 2018, over 100 sculptures from local and international artists will be featured along a 2-km stretch of the coastal walk. 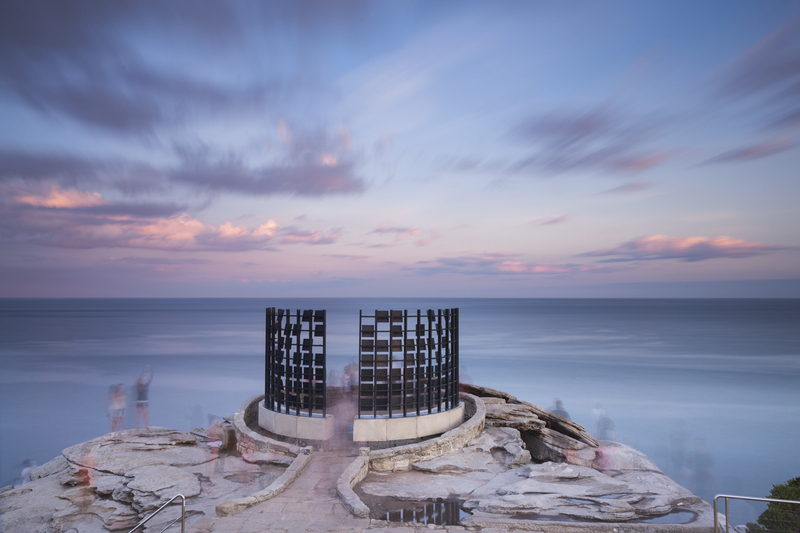 Take a break from your walk to snap a picture of the unique installations that complement and integrate with Sydney’s coast. 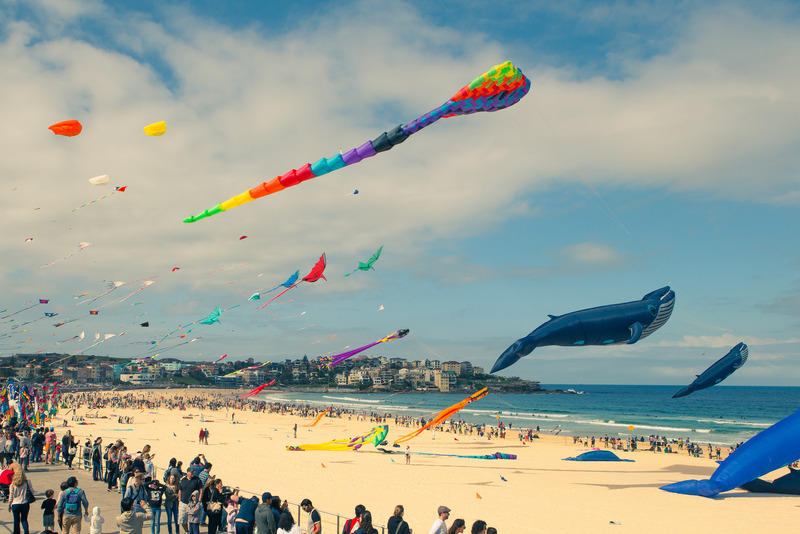 Another annual affair during spring is Australia’s largest kite flying festival held on Bondi Beach – Festival of the Winds (9 Sep 2018). Be entranced by a sky full of kites of all shapes and sizes, flown by both local and international kite flyers. The kids can also learn how to make kites, bounce on jumping castles and enjoy the rest of the activities part of the festivities! 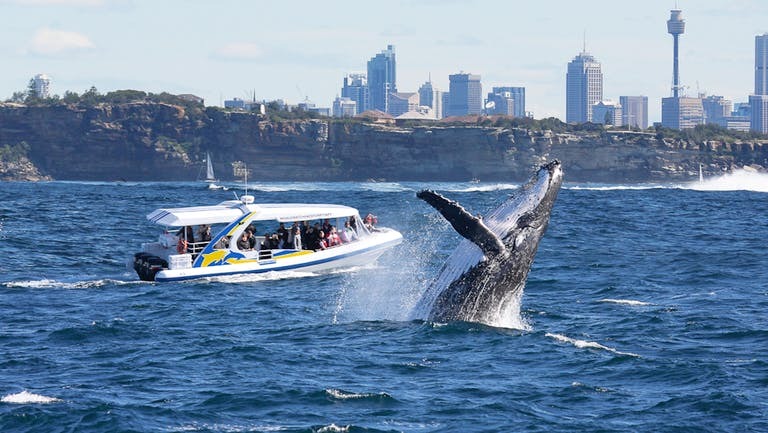 Spring is also the best time to head out into Sydney’s open waters, with May to November being the prime time to spot humpback whales migrating past Sydney’s coast! There are over 38 vantage points on land to watch whales in Sydney and its surrounds. Many of these spots can be found along coastal walking trails and a popular spot is Barrenjoey Lighthouse, which at 113 metres above sea level, serves as the prime spot for whale-watching. 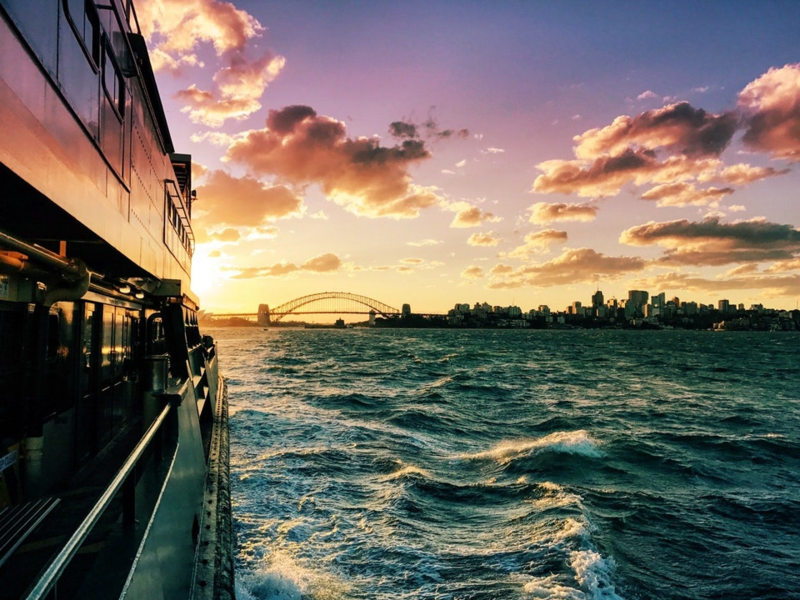 Otherwise, there are plenty of cruises that depart from Sydney Harbour that will allow you to get as close to the whales as you can get! Montague Island, just 9 km off the town of Narooma and a five-hour drive from Sydney, is also a popular whale-watching spot in spring. But what’s lovely about this little island is that it’s also the perfect place to catch fur seals during the peak periods of spring. 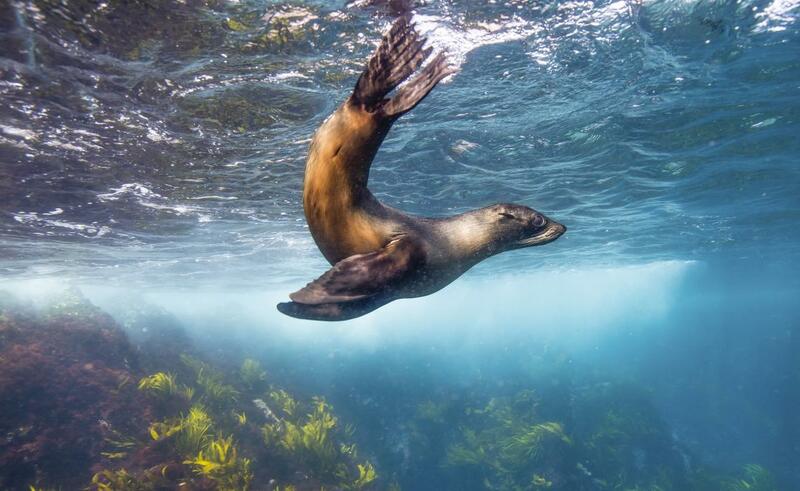 Catch the seals lazing on the rocks or dive into the waters and snorkel right next to these puppies of the sea! Still no luck with the whales? Hit up Jervis Bay on the South Coast of New South Wales for more opportunities to catch the whales migrating. While you’re there, hop on one of their year-round dolphin cruises as well, that will bring you up close and personal with playful bottlenose dolphins. As the flower buds start to rear their heads, so do the animals! Watch as the animals come out to play as the temperature starts to warm up. Head to WILD LIFE Sydney Zoo at Darling Harbour to see the crocodiles, kangaroos and koalas soaking in and catching the first rays of spring. Then, cool off at the SEA LIFE Sydney Aquarium to discover over 13,000 marine animals including sharks, dugongs and penguins. Go on a penguin expedition with the whole family or if you’re an adventurous daredevil, try the newly launched Shark Dive Xtreme, the only cageless underwater shark dive in Sydney! Spring is also the time when we say hello to baby animals as well! Bring your little ones to the Australian Reptile Park on the Central Coast only a 60-minute drive from Sydney, which despite its name, houses more than just reptiles. Cuddle with baby koalas, wombats, kangaroos, Tasmanian devils and even dingo pups! 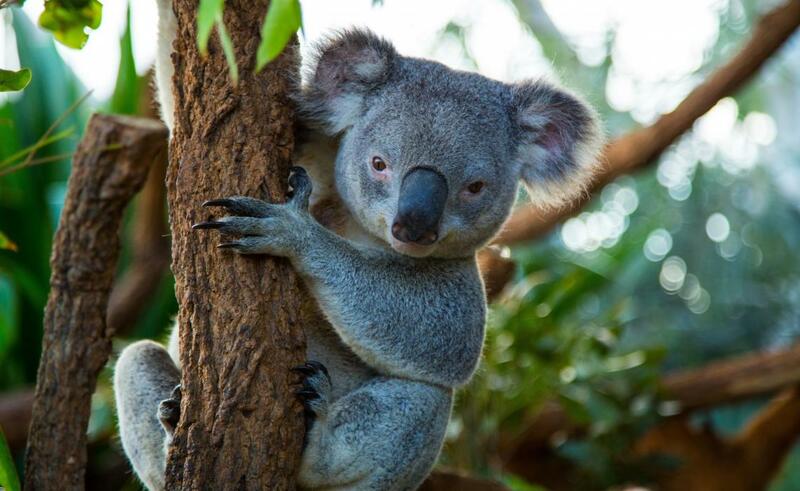 The Featherdale Wildlife Park, situated between Sydney and the Blue Mountains, also guarantees a great family time as you enjoy breakfast with koalas and other close encounters with Australia’s furry creatures. And if you have the time, don’t miss the Symbio Wildlife Park, an hour’s drive from Sydney, for hands-on encounters with Australia’s wildlife across 16 acres of bush parkland. And of course, what’s a trip to Sydney without visiting Taronga Zoo? With over 4,000 animals and loads of activities available, there’s something for the whole family – from tiger treks to animal encounters, jungle walks and more. 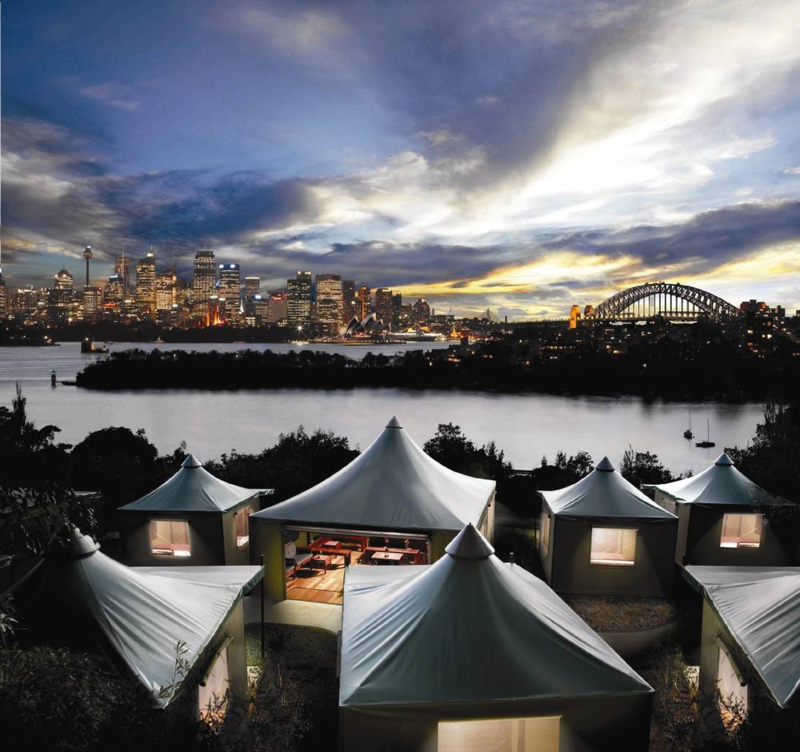 For a truly novel experience, you can’t miss the Taronga Zoo exclusive – Roar and Snore – where the whole family can camp in safari style tents in the zoo itself and wake up to spectacular views of the Sydney Opera House and Harbour Bridge. If that sounds up your alley, you definitely need to include a farmstay on your spring trip as well. Get down and dirty at Downunder Farmstays in the Southern Highlands, in the same town as the beautiful Tulip Time Festival. Enjoy the spring blooms, collect eggs, pick fresh produce and cosy up with the adorable farm animals with one of the many local farm hosts available. For a more luxurious, yet no less immersive farmstay experience, The Woods Farm of Jervis Bay will promise you true Australian hospitality. Feed the horses, play with alpacas and then retreat into one of the themed luxurious accommodations available on the property. Get up close and personal with Sydney’s wildlife! Fly with Singapore Airlines to Sydney via its five daily flights and be entertained by the new KrisWorld entertainment system. Use the SingaporeAir mobile app to control a selection of over 1,000 movies, television programmes, music and games. KrisFlyer members can discover personalised recommendations, exclusive content and even continue where you left off from on your previous flight. You’ll never have pre-flight stress when travelling with your kids anymore! 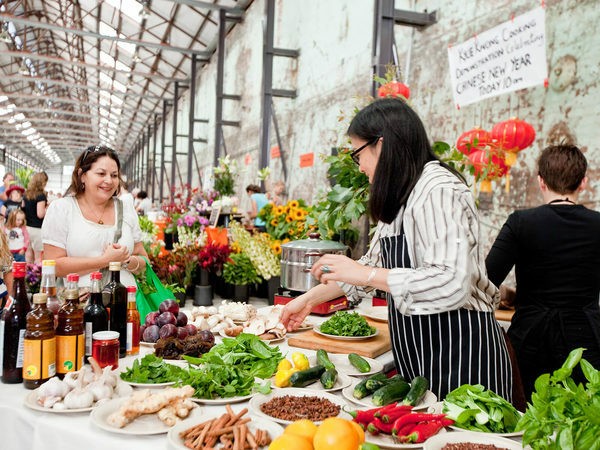 Spring also coincides with Good Food Month in October, a celebration of Sydney’s best food, wine, talented chefs and local producers. Don’t miss the main event, the Night Noodle Markets (4 Oct 2018 to 21 Oct 2018) at Hyde Park, where over 30 food stalls will be serving up the best street food from across the region. While you’re in Sydney, you’ve got to eat near the water at least once if you can! Proximity to the ocean not only means a great catch of the day, but the mild spring weather makes coastal dining in Sydney that much more enjoyable. Arguably the best view in Sydney, Icebergs Dining Room & Bar is set over Bondi Beach with the Icebergs sea pool below. 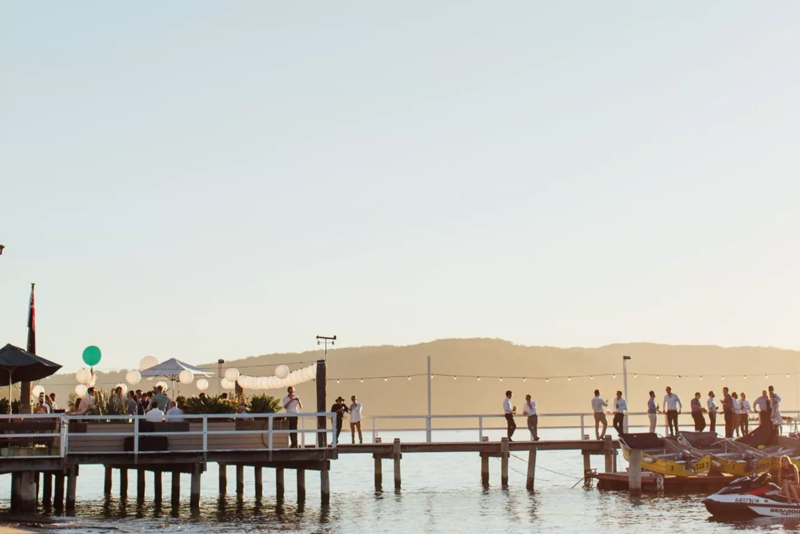 If you’re willing to work for your food, The Boathouse Palm Beach located an hour’s away out of Sydney is well worth the drive. Dine on the deck of the pier against the backdrop of Sydney’s beautiful northern beaches as you dig into scrumptious avocado on toast and bacon! And what’s dining in New South Wales without some wining as well? While you can head up to Hunter Valley to enjoy a wine tour in one of the many wineries, you can also enjoy a drink in the heart of Sydney itself. Wine and dine by the ocean at the Taste of Coogee Food and Wine Festival (1 Sep 2018 to 2 Sep 2018), featuring over 100 food and wine vendors. Or head on an Urban Wine Walk (8 Sep 2018) to sample wine from some of the best wine producers in New South Wales, across more than ten local bars. For beer connoisseurs, check out Sydney Beer Week (26 Oct 2018 to 4 Nov 2018) as well, Sydney’s largest celebration of beer! And what better to go with your wine than oysters? The best oysters are available, arguably between the warmer months of September to March, during the peak season of the Sydney Rock oyster. Embark on Australia’s Oyster Coast Trail along the New South Wales South Coast to learn how to properly shuck and savour oysters, meet artisan growers and enjoy the beautiful coastline. 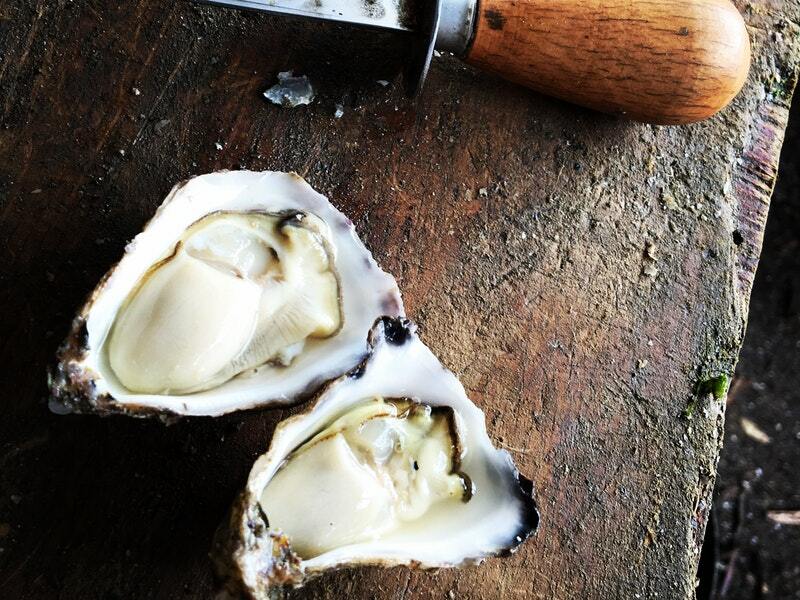 Apart from fresh oysters, Sydney’s spring produces some of the freshest and most bountiful local produce. The easiest way to enjoy fresh local produce is at one of the many farmers’ markets in the city of Sydney. Visit the Carriageworks Farmers Market held every Saturday in the heart of Redfern, the Cambridge Markets held every Wednesday and Saturday at Moore Park, the Bondi Farmers Market held every Saturday at Bondi Beach Public School, as well as the Behind the Scenes Northside Produce Market Tour and Marrickville Organic Food Market for the freshest local and organic produce! 12. Pick fresh produce, right from the source! 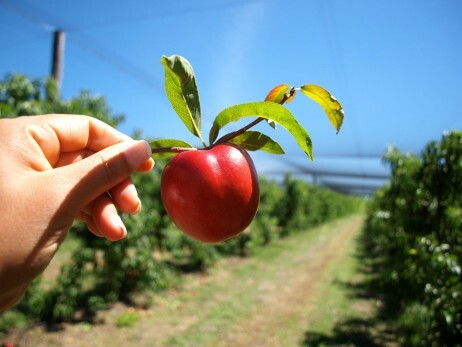 A fun and educational activity for the kids, there’s nothing like exploring the beautiful orchards and picking the fruits of the harvest for yourself! Pick juicy peaches and nectarines at Canoelands Orchard (an hour’s drive from Sydney), taste strawberries and raspberries from Huntley Berry Farm (three and a half hours from Sydney), crunchy apples from Apple Shack, Glenbernie Orchard (an hour’s drive from Sydney) and fleshy oranges from Hillsdale Citrus Orchard (two and a half hours from Sydney). For something a bit more on the wild side, sign up for a foraging tour led by Diego Bonetto, a wild food advocate based in Sydney. Learn how to identify edible plants and bring them from forage to feast! To learn more about Sydney’s Aboriginal heritage, head to the Royal Botanic Garden for a taste of Aboriginal Bush Food. Rally the whole family and gather seasonal fruits, seeds, berries and other native vegetables around the garden and learn about traditional Aboriginal food preparation methods. Just two hours north of Sydney, Hunter Valley is particularly picturesque in spring as the vineyards burst to life with beautiful lush green foliage. 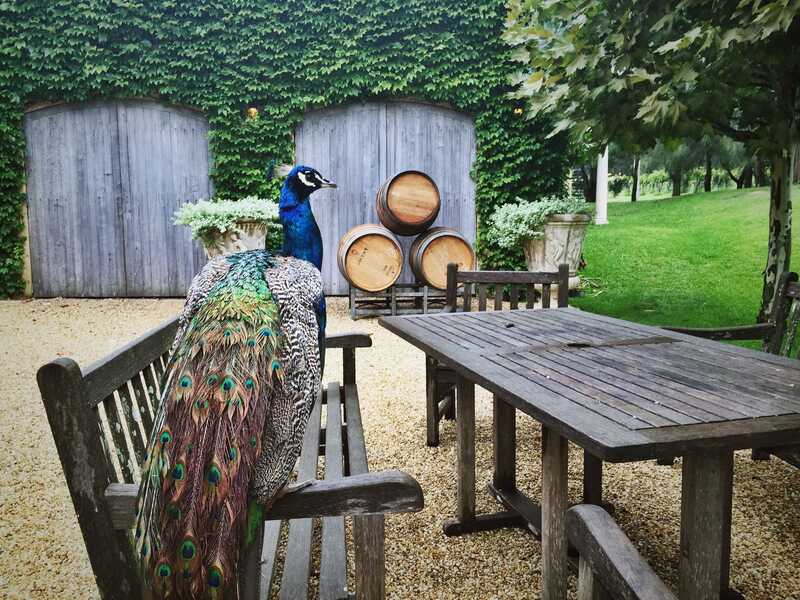 Sample Australia’s finest wines at some of the most scenic vineyards, like Audrey Wilkinson Winery and Krinklewood Biodynamic Vineyard, and look at how wine is made in one of the top wine regions in the world. Make full use of the comfortable weather to dine al fresco at one of Hunter Valley’s amazing casual dining spots. Visit Two Fat Blokes Gourmet Kitchen which overlooks the lush grounds of De Iuliis Winery or Goldfish Hunter Valley at Roche Estate for some delicious twice cooked pork belly! For more arresting views of the spring blooms, head to Hunter Valley Gardens after your wine tour and be enchanted by the kaleidoscope of colours at the annual Spring Festival of the Flowers, happening this year from 1 Sep 2018 to 30 Sep 2018. Other than the beautiful blooms, be delighted with live entertainment and even live cooking demos as part of the festivities! And no trip to Hunter Valley is complete without a hot air balloon ride, offering panoramic views of the countryside bathed in the colours of spring. Head up to Hunter Valley towards the end of September to join in on the Balloon Aloft Hunter Valley Balloon Fiesta (28 Sep 2018 to 1 Oct 2018), where each day sees 25 hot air balloons from all around the country launch together at sunrise and float majestically over Hunter Valley. Be sure to get your cameras at the ready to capture this amazing display of colour in the skies! For one of the world’s most spectacular running courses in the world, join the Blackmores Sydney Running Festival on 16 Sep 2018 to take in all of Sydney’s iconic landmarks and for the opportunity to run across the Sydney Harbour Bridge, free of any cars! Join the short 3.5km Family Fun Run with the whole family to enjoy the sights and sounds of Sydney as you travel over the Sydney Harbour Bridge. But this event isn’t just all fun and games! 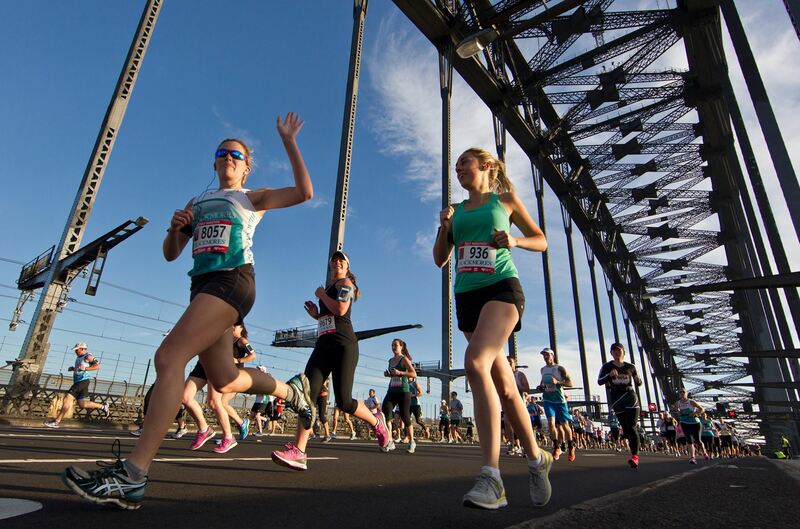 Serious runners can join the 10km Bridge Run, the 21km Half Marathon and the full 42km Sydney Marathon, all of which allows you to cross the Sydney Harbour Bridge. Spring is also the period when many arts and cultural events and springtime festivities are happening across the city. Don’t miss the Sydney Fringe Festival (1 Sep 2018 to 30 Sep 2018) that will connect you to the city of Sydney through art and innovation – from activating unused buildings, unlocking hidden gems and a presentation of large outdoor installations. Join in on the spring festivities at Surry Hills Festival (22 Sep 2018), one of the largest spring festivals spanning across Ward Park, Devonshire Street, Shannon Reserve and Crown Street. Explore art and architecture, local churches, craft beer and food tastings against a beautiful backdrop of the inner-city blooms of spring. If you’re missing a bit of home, you can check out the Cabramatta Moon Festival (23 Sep 2018), also known as Mid Autumn Festival in our part of the world. Be treated to a lantern parade, lion dances, mooncake eating competitions and end the day with a beautiful fireworks display at night. You can also be part of the bohemian affair that is Lost Picnic (13 Oct 2018), a large party at The Domain in Sydney, celebrating spring over food, music and performance. While the adults enjoy performances by Tash Sultana and Sons of the East, the kids can play in the circus playground and participate in lawn games. Finally, try to get tickets for the Sydney Spring Carnival (8 Sep 2018 to 13 Oct 2018), a six-week racing carnival hosted at the Australian Turf Club’s flagship racecourses – Royal Randwick and Rosehill Gardens. Enjoy this unique sporting spectacle with world-class racing and of course, racegoers dressed in funny hats! 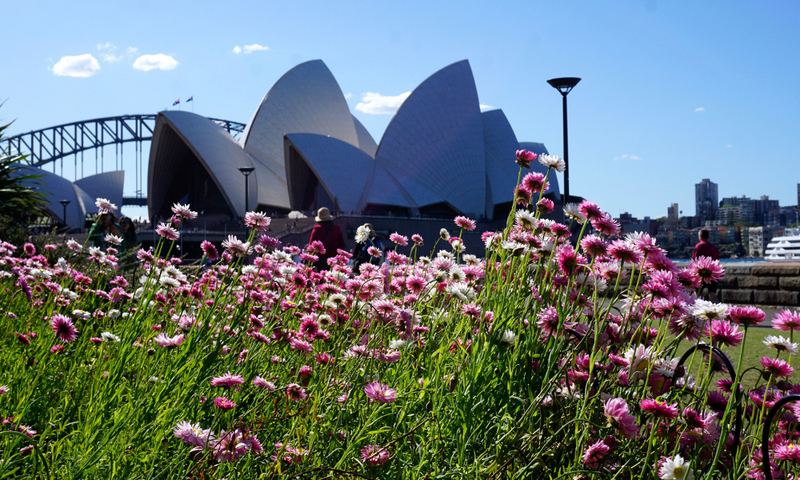 Spring into action and head to Sydney this Spring with Singapore Airlines. With flights five times daily, you and your children will be treated to no less than premium service and world-class entertainment on your flight to Sydney. Spring is arguably the best time to visit Sydney and regional New South Wales. And being one of the most diverse cities in the world – from its flora and fauna, food and restaurants, amazing wildlife, to its rich culture and heritage – there’s something for everyone, whether you’re young or old, or simply just young at heart! With the mild temperatures, spring festivities and amazing spring blossoms, you’ll definitely have to visit New South Wales during the springtime at least once in your life for unique memories and photo opportunities with the whole family. Brought to you by Singapore Airlines and Destination New South Wales.